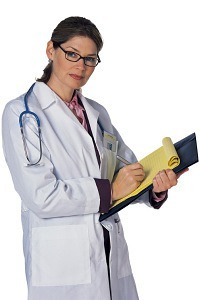 Medical Record Formats - Helpful or Confounding? Home > Medical records > Medical Record Formats – Helpful or Confounding? The outcome of a medical malpractice case is often rooted in the information found in a medical record. The legibility and completeness of the record are crucial. Handwritten notes are easy, can be faster than entering data into the electronic medical record, and is a familiar method of charting to many healthcare providers. There are pieces of the medical record that even today can be handwritten such as physician office records, physician orders, physician progress notes and histories, and physicals. Many nursing home records and home health records are still handwritten. Handwritten information may be illegible, creating the potential for errors in patient treatment or medication orders. It is costly to maintain them and uses up valuable space. A medical record that is maintained in paper form has limitations. Of great concern is the lack of access to the record. Only one person at a time may use the chart and the chart has to be in a single location. Staff needing access to the record must wait until it is available for their use. Delayed access to the chart negatively affects coding, billing, and reimbursement processes. Fragmentation of the patient’s record occurs as the result of multiple encounters with different healthcare providers. Due to disparate patient documentation and billing systems, there is often minimal or no exchange of information that contributes to compiling a medical history for the patient. Each provider or facility has only a limited portion of the patient’s overall health information. Today’s medical records are likely to be a combination of handwritten and computer generated records. Certain sections of a chart may be handwritten and others may be computer generated. Since hybrid records encompass handwritten records, all of the drawbacks of handwritten records apply. The quality of the actual documentation varies based on the health care provider’s documentation skills and knowledge level. While standardization of the data documentation has improved over the years, not all providers use the same abbreviations, terminology, format, or chart organization. This can result in incomplete or inaccurate healthcare data collection. For example, there are handwritten orders, computer generated orders and standard order sets. If the computer system goes down, there may be handwritten documents generated while the staff is unable to chart. Hybrid records may create further confusion because of the lack of consistency between paper and electronic records or in format. Some of the information can be retrieved from a computer and other pieces have to be obtained by a search of handwritten information. An electronic health record brings together legible information about a patient collected from outpatient and inpatient settings. An electronic medical record contains information from one provider, such as a physician’s office or a hospital admission. Electronic medical records have many advantages. The use of computer technology to prescribe medications, in combination with other software applications, is a means of decreasing the high volume of medication errors. Electronic health records allow providers to share information, reduce duplicate testing and provide information more readily within a facility. Each person who enters information in the record is identified by name. Electronic medical records promote patient safety through the use of alerts and prompts. However, they are expensive to purchase and implement, with large investments in training. Get the full report at this link. There’s no perfect charting system and no perfect documenter. We hope for clear and coherent medical records. They are crucial for patient care and for reconstructing events. What do you think about electronic medical records? Share a comment below.